Charles de Lint is a Canadian musician and fantasy author of dozens of books and short fiction. Many of his stories take place in the Newford universe. His works have received around 15 nominations for the World Fantasy Award, plus several nominations from the British Fantasy Society, Nebula Awards, Bram Stoker, and Mythopoeic Fantasy Awards. Charles de Lint is most famous for his blending of urban fantasy and mythic fiction. Matthew Peterson: You’re listening to The Author Hour: Your Guide to Fantastic Fiction which can be found at www.TheAuthorHour.com. I’m your host, Matthew Peterson, author of Paraworld Zero. 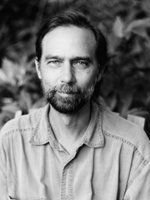 My next guest is Charles de Lint, a Canadian fantasy author of dozens of books and short fiction. His works have received around 15 nominations for the World Fantasy Award, plus several nominations from the British Fantasy Society, Nebula Awards, Bram Stoker, and Mythopoeic Fantasy Awards. Charles de Lint is most famous for his blending of urban fantasy and mythic fiction, which we’ll talk a little bit about today. Thanks for being on the show. Charles de Lint: Hey, thanks for having me. Matthew Peterson: Now, I know you’re most known for your Newford series. For those listeners out there not familiar with your work, can you give us a little summary of the Newford series? Charles de Lint: Newford is just a very large urban North American city in which a lot of people have paranormal experiences. One of my favorite reviews for one of my books was, and it was for a Newford book, was someone said that I’m doing for fantasy what Stephen King does for horror. In other words, it’s ordinary everyday people who have an account with something strange, and then I explore how it affects their life. My characters usually tend to be more on the fringes of society. So they’re, you know, artists, musicians, homeless people, you know, outlaws, that kind of thing. Matthew Peterson: And you have books and you have lots of short fiction. Lots of stories, right, that are set in Newford? Charles de Lint: Yeah, people ask me to do something for an anthology. They always give you a theme, like, I don’t know, vampires, or something. And I always like to see how I can fit it into my Newford stories. My favorite stretch was when I was asked to do a Hellboy story. Charles de Lint: So actually Hellboy does visit Newford at one point. Matthew Peterson: So is there something, like, special about this city, or is it just, special with the world, like the whole world is like this, or is it just the Newford city? Charles de Lint: No, it’s like in every city except, ‘cause you know most people don’t realize that there’s stuff going on. Much of the urban fantasy that’s happening today, they have these different races of werewolves and vampires and things like that. Charles de Lint: And they’re kind of hiding from society. It doesn’t have the same feel as that. It’s more just ordinary folks kind of have a strange encounter. Charles de Lint: We see how it affects their lives. A lot of stories also deal with very much real world concerns. Whether it’s abuse or homelessness or environmental concerns. And the one point I always try to make strongly in the stories is that the magic doesn’t solve anything. Those kind of problems have to be solved from the people themselves. Matthew Peterson: From the people, yeah. Charles de Lint: Well, it’s not fair otherwise. Matthew Peterson: Snap you fingers and the problem’s solved. Charles de Lint: You know, some kid reads a. . . has a horrible home life and she reads a book, and you know the fairies came and saved the kid in the book, you know, she’s going to be all depressed because fairies didn’t save her. Matthew Peterson: Didn’t save her. Charles de Lint: Instead you see the kid maybe did an outreach program or whatever and got help that way, then maybe that, the real world kid thinks maybe that’s something she could try as well. Matthew Peterson: Now I understand that you have a big collection of short fiction in the Newford series that’s coming out, Muse and Reverie. Charles de Lint: Basically it’s just volume 5 of the short stories. Every time I get a certain batch, enough to put a book together, Tor seems to be kind enough to put them out in a collection. So this is just the fifth collection of these stories. And the nice thing about this, which is kudos to my readers for supporting it, because the first book that must have come out, oh, I don’t know, you know, 12, 14 years ago, and it’s still in print. Charles de Lint: Pretty cool for stories. Matthew Peterson: I understand one of your earlier novels, Moonheart, that’s one of Tor's best-selling trade paperbacks in the Orb line? Charles de Lint: Yeah, well apparently. Maybe not anymore, but it was at one point. Matthew Peterson: Yeah, it’s one of them. Charles de Lint: That’s not a Newford book. I was doing sort of a contemporary fantasy in other settings before that. Charles de Lint: That one’s set in my home town of Ottawa. I have books that were set in rural areas around Ottawa. I had a book set in Cornwall, England, you know, just various places. Matthew Peterson: And one of your latest novels, The Mystery of Grace, is that in the Newford series, or is that a stand alone novel? Charles de Lint: No, basically what happened is, although I have one more collections worth of short stories that are already finished and done--so there will be one more Newford collection after Muse and Reverie--I’m just taking a break. ‘Cause, you know, I’ve written a lot about that city. It seems like every single person... it’s a large city, but it seems like every single person has had some type of magical experience. It doesn’t feel very fresh. Charles de Lint: So I’ve gone off to do different things. So Mystery of Grace is set in the Southwest. Charles de Lint: In the Southwest. Matthew Peterson: And you’ve done some young adult novels as well. I mean it’s not all adult. What are some of the young adult [novels] that you’ve done? Charles de Lint: Well, actually I did one of the teen, years ago called The Dreaming Place for Atheneum, but more recently an editor, named Sharyn November, at Viking approached me a few years ago . . .
Matthew Peterson: I know Sharyn, yeah. Charles de Lint: I ended up doing a number of books with her. First one was a collection called Waifs and Strays, and then after that it was The Blue Girl, Little (Grrl) Lost and Dingo. And I just turned in a new one to her yesterday, actually, and I don’t even have a title for it. Matthew Peterson: Ah! You’ve turned it in; you don’t have a title? Charles de Lint: Yeah, well, I have a title, but nobody likes it. Matthew Peterson: Nobody likes it, yeah. Publishers like to change those. Charles de Lint: I’ve done it before where I’ve just given a title to something, turned it in and then, you know, years later you’ll see in bibliographies, people are looking for this obscure book and it was just the old title or something else. Matthew Peterson: Yeah, I did that with my publisher once. Next thing I know it was listed on Amazon and it was coming out like in the next month, and I’m like, “Whoa, whoa, whoa, I haven’t even written this thing yet.” [laughs] It’s not even the title anymore. Matthew Peterson: I haven’t read Little (Grrl) Lost, but I like the covers of those, of Little (Grrl) Lost and Dingo. Charles de Lint: I’ve been pretty lucky with all my covers, actually. Charles de Lint: Since with TOR and then with Viking, I’ve been very lucky with those covers. They have a nice mood to them. They’re well executed. So I have no complaints. Matthew Peterson: Oh, yeah. That’s good, ‘cause you never know what you’re going to get with that cover, and I kind of scanned through a lot of your different covers and they’re very well done--gotta say that for you. Charles de Lint: The thing is, is that, you know, even though everyone says don’t judge a book by the cover, we all do. Charles de Lint: So we just can’t help it. If the cover’s attractive, you know, then it attracts us, and if it’s like a dog, even though it’s by someone we know and like, we’re still a bit reluctant to pick it up. It’s sad. Matthew Peterson: Yeah. I agree. Yeah. I understand that you write some music as well, with the flute or fiddle and guitar. Charles de Lint: Well, I play a lot of music and I’ve written a number of songs. There was a point, one of the books, Little Country, I think it was, I decided to include an appendix of tunes that the character had written, which are just tunes that I had written. They were in that sort of Celtic idiom where it’s jigs and reels: 6/8, 4/4, that kind of thing. I haven’t been doing as much. I don’t do much Celtic music anymore. I do... I’m more interested in story songs, kind of Americana. Matthew Peterson: Oh, okay. Yeah. Charles de Lint: It’s just another way of telling stories basically. So what writing I’ve been doing in music, it has been focused on that instead. Matthew Peterson: So do you actually play the instruments as well? Charles de Lint: Oh, yeah. I’ve been playing for years and years. In fact I wanted to be a musician long before I wanted to be a writer. That’s what I wanted to do. I just was playing Celtic music at the time, and it was like totally the wrong choice of music. Charles de Lint: That was at the point when there just was no such thing as world music. You know, nobody knew what that kind of music was. Matthew Peterson: Yeah, well, they’re both difficult fields to get into. You know, both music and writing. Matthew Peterson: or an athlete. Matthew Peterson: Yeah. Let me ask you this last question before the commercial break. Matthew Peterson: You know, you’ve been writing a lot and you’re kind of taking a little break of Newford. What can we expect in the future from you? Charles de Lint: Well, I’ve got... the setting for The Mystery of Grace was at the American Southwest, and I’m planning at the moment to do three books there. So I did that one. The young adult one I turned in is in that setting. And then I’m going to do one more adult novel and then I don’t know. I’ll see where I go after that. I’d give you more plot sort of information, but I find that if I talk about the plot of a book I don’t feel like writing it anymore. Charles de Lint: So, I just don’t. Matthew Peterson: Yeah, well, that’s fine. Well, thank you so much. I’ve been speaking with Charles de Lint, author of lots of different books, fantasy, and lots of short fiction as well. So take a look at it. Thanks for being on the show, Charles. Charles de Lint: Thanks for having me. Take care. Matthew Peterson: Alright, that’s it for today. Be sure to visit www.TheAuthorHour.com to listen to all the bonus questions that didn’t make it onto the live show. Next week, I got four authors who write young adult novels: James A. Owen, Frank Beddor, John Flanagan, and James Dashner. See you then.